Mike Green received training in surreptitious entry, tradecraft, and Predictive Intelligence. He was responsible for intelligence collection and interpretation, management, analysis, processing, and dissemination of strategic and tactical intelligence. Mr. Green received training in clandestine operations, interrogation methods, information gathering, analysis, photography and counterintelligence techniques. He served as an Assaulter in a CINC’s In-extremis Force (CIF), providing sensitive compartmented Direct Action, Counter-Terrorism, and Quick Reaction Force (QRF) capabilities. 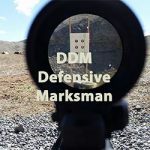 As an instructor for the Special Forces Advanced Urban Combat (SFAUC) Course he taught Advanced Marksmanship and Close Quarters Combat (CQC) training courses. 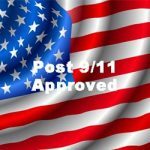 Mr. Green was the Course Manager for the only Department of Defense Antiterrorism Instructor Qualification Course at J.F.K. Special Warfare Training Group’s Anti-Terrorism Detachment, where he also taught the Individual Terrorism Awareness Course. As the Course Manager, he developed and managed a joint military and civilian team of Terrorism Experts and multiple surveillance teams, responsible for training Antiterrorism Instructors throughout the Department of Defense. 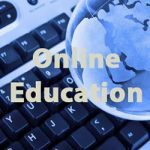 He was responsible for all facets of training to include instructor development, curriculum updates, course implementation, management of instruction and field training exercises. As an Anti-terrorism detachment instructor, he trained students how to minimize their vulnerability to terrorist identification, selection & attack. He taught how to react to terrorist assaults, how to survive in hostage situations, survival shooting, detecting surveillance, antiterrorism driving, vulnerability/threat assessments and surveys. During his military service, Mr. Green conducted numerous Protective Security Details for General Officers to include SOCOM(A), SOCSOUTH, USASOC(A), USASFC(A) and the USSOUTHCOM CINC General Officer. 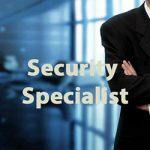 After leaving the military, Mr. Green transitioned to the private security sector and has been on numerous Department of State & Department of Defense contracts since 2004. He has provided protection for designated personnel to include; US Ambassador to Iraq John Negroponte, Senator John McCain, Senator Hillary Rodham Clinton and other high ranking US Diplomats. In 2005, Mr. Green formed Green Ops, a consulting company that provides specialized security solutions. He has served as the primary instructor for the process of vetting new security operators and advanced training for US Government Contracts. 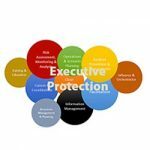 He developed, reviewed, evaluated, and managed a new comprehensive training curriculum, specifically designed for Low Profile Executive Protection. He has consulted for numerous training facilities and lectured on Terrorism Subjects. Mr. Green has a B.S. in Psychology and has taught related classes on the psychology of terrorism and rapport building using Neuro-Linguistic Programming. 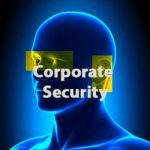 Mr. Green has also provided Executive and Corporate Protection training to individuals and private companies to include security details for Fortune 500 companies. Mr. Green is certified as a Personal Protection Specialist Instructor and Firearms Instructor for the State of Virginia through the Department of Criminal Justice and Standards (DCJS). He has supported domestic executive protective operations to include the former Speaker of the House, Newt Gingrich and for high net worth individuals’ vulnerability and threat assessments including detailed assessments of residences, offices and family behavior. Glen is a US Department of State (DOS) and Other Government Agency (OGA) validated Subject Matter Expert (SME) of High Risk VIP Protection Operations, Advanced Crisis Response Team (ACRT) Operations, Anti-Kidnapping, Tactical Commander (TC), Critical Incident Management (CIM), Designated Defensive Marksman (Sniper – DDM) Operations, Counterterrorism and Terrorist Operations. Glen has completed assignments throughout the Middle East, Asia, and South America to include Jordan, Mexico, Bangladesh, Qatar, Senegal, Tajikistan, Tanzania, Indonesia, and Bogotá, Colombia. Glen was the Assistant Deputy Program Manager (ADPM) and training supervisor for the joint US Department of Defense/US Department of State (DoD/DOS), Counterterrorism Special Operations Forces (CTSOF) program in Baghdad, Iraq where he was responsible for the training and the operational advising of Iraqi counterterrorism personnel throughout the country in support of US objectives in Iraq. Additionally, Glen was an original member of the US Department of State’s Presidential Protective Security Detail (PSD) for the President of Afghanistan, Hamid Karzai where he served as a Shift Leader (SL), sniper team leader, and member of the Primary Ring of Security (PRS). In addition to the President of Afghanistan, Glen has provided protection for numerous high ranking foreign dignitaries and US Government officials in high risk environments to include former US Secretary of Defense, Donald Rumsfeld and former US Secretary of State, Condoleezza Rice. 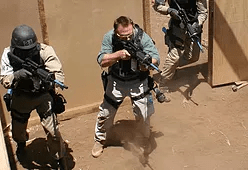 Glen began his career in the US Navy where he served as a member of Naval Special Warfare Group One – Special Boat Units (SBU), Naval Security Group Activity and Commander US Naval Forces Central Command (USCENTCOM) during Operation Desert Shield and Operation Desert Storm. Upon his discharge from the military, Glen served in law enforcement as a narcotics detective, SWAT Team Leader, and adjunct faculty member for the Idaho State University (ISU) law enforcement program. Glen is recognized for his professionalism and leadership, as well as his ability to design and implement training programs that immediately enhance the capabilities of the participating personnel. In addition, Glen has received numerous awards and letters of commendation to include a Navy Unit Commendation for “outstanding service while engage in combat operations” from the Secretary of the Navy. 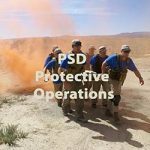 Glen is frequently hired by SWAT teams, US Government agencies, and US military PSD protective operations groups to conduct “train-ups” for units and personnel being deployed to hostile environments throughout the world.